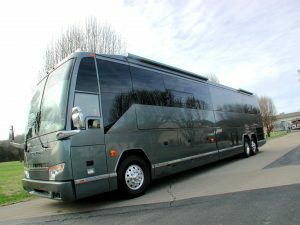 Now for sale. 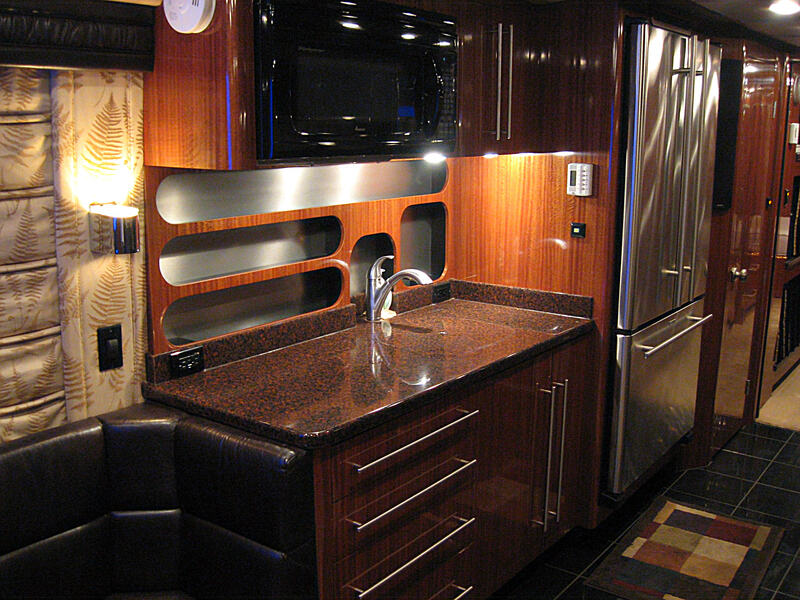 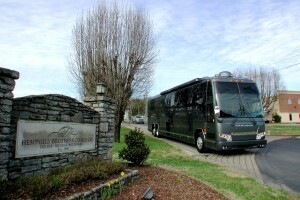 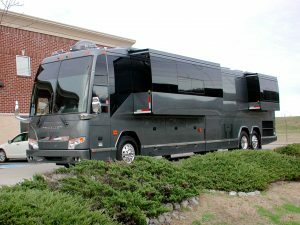 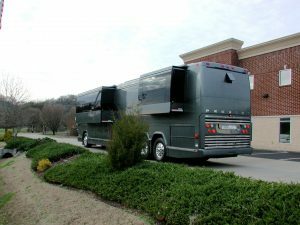 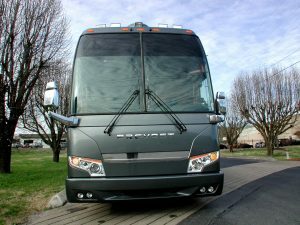 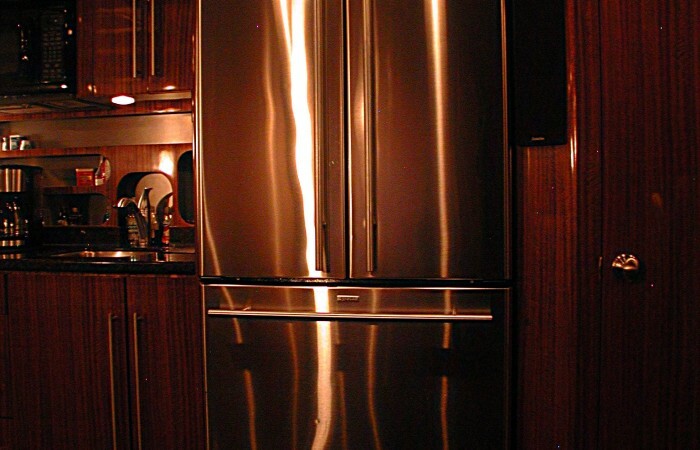 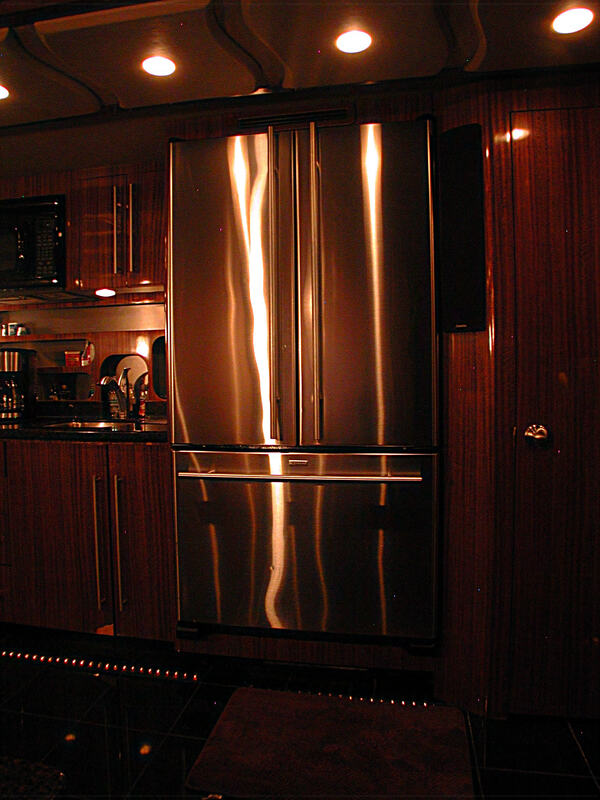 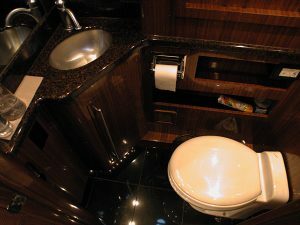 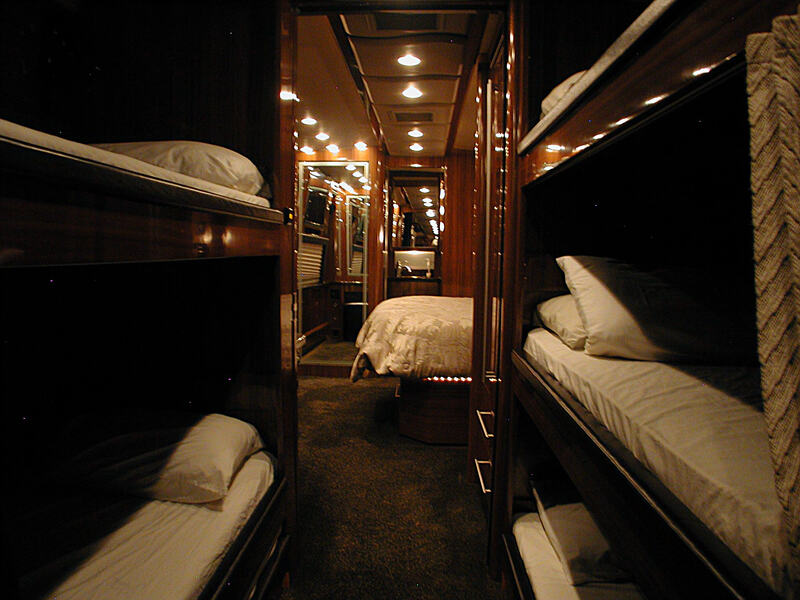 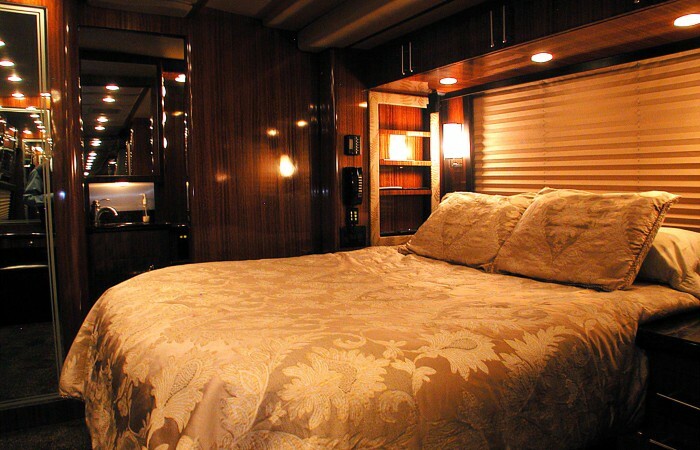 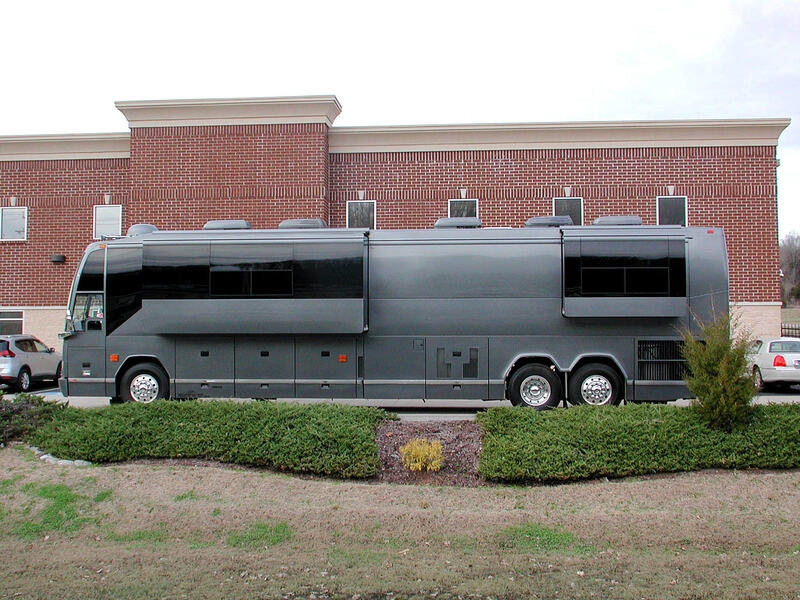 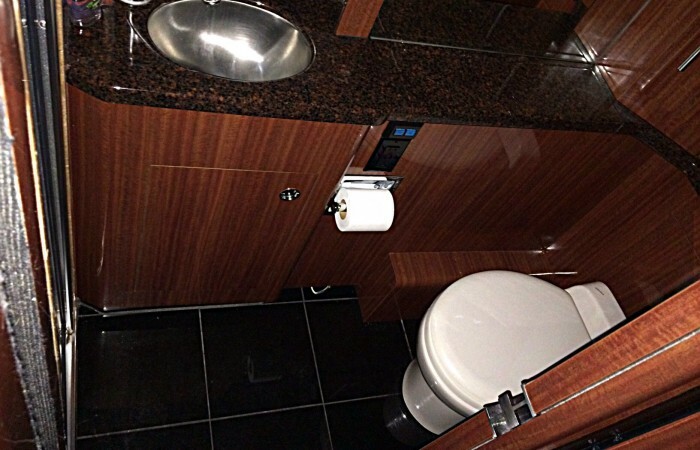 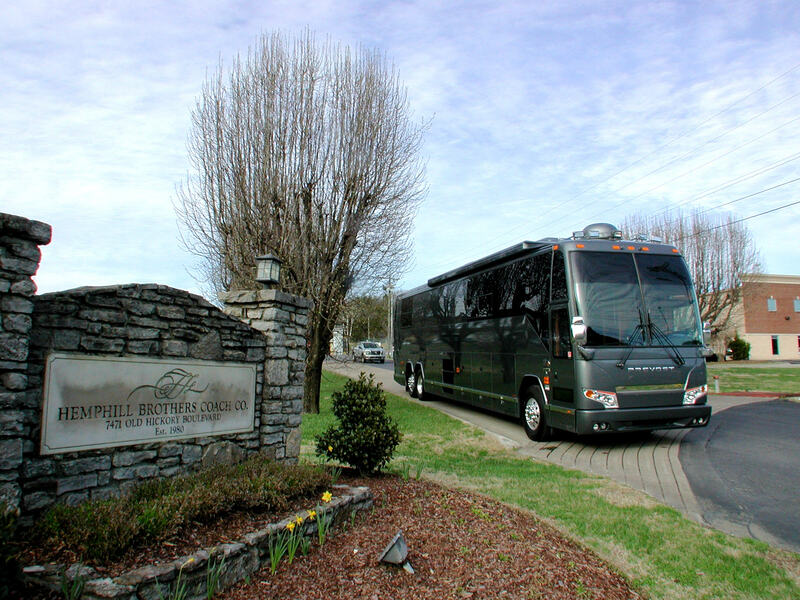 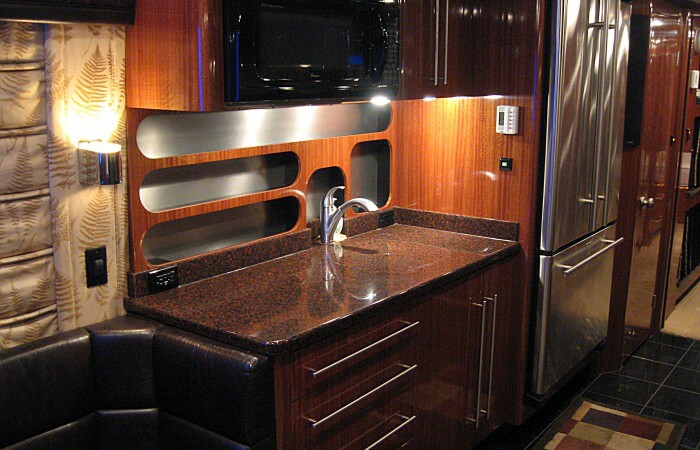 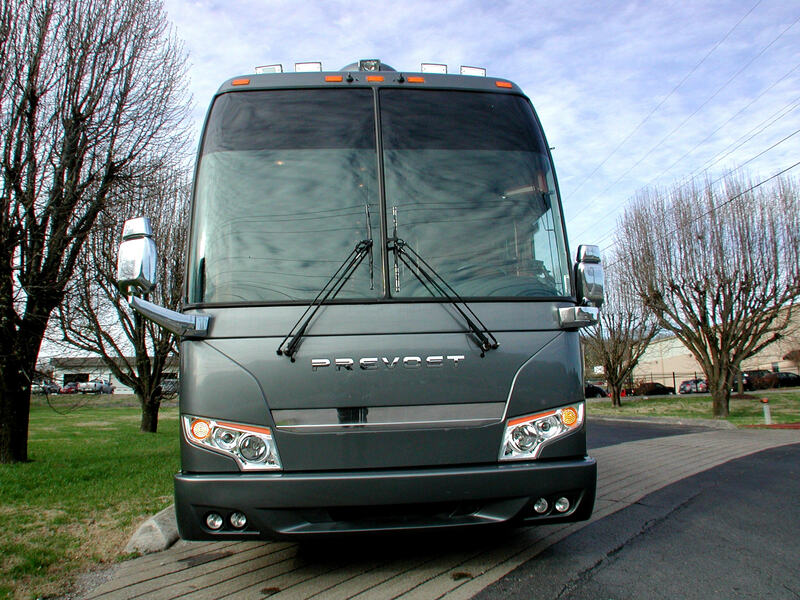 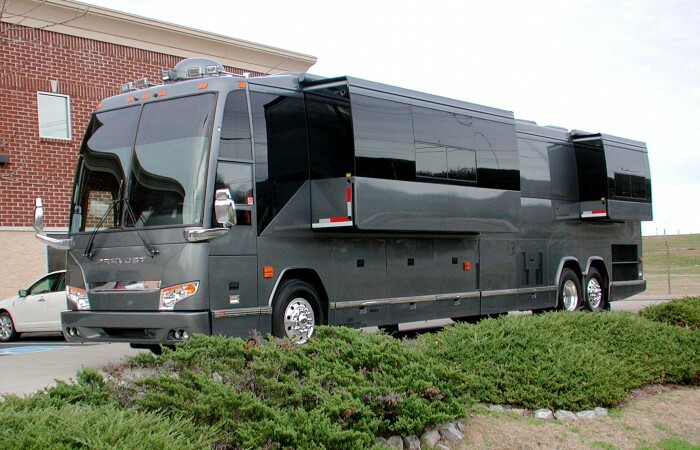 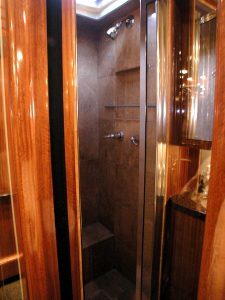 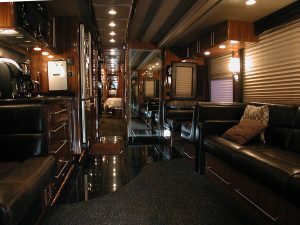 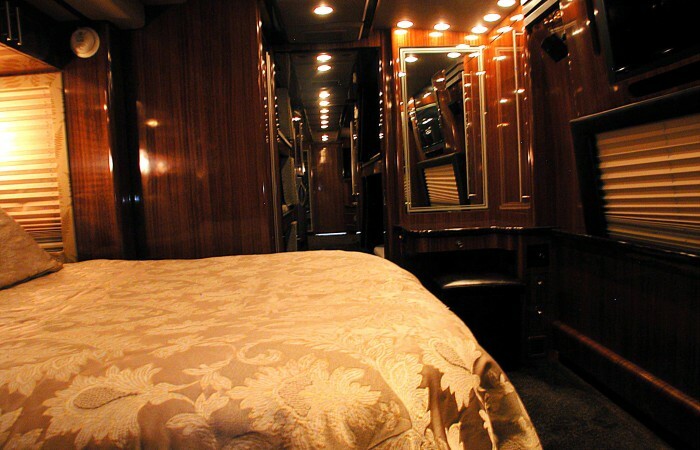 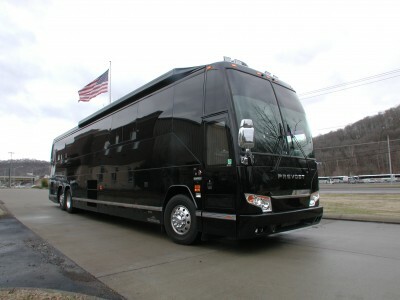 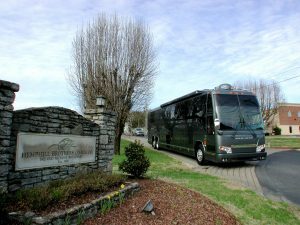 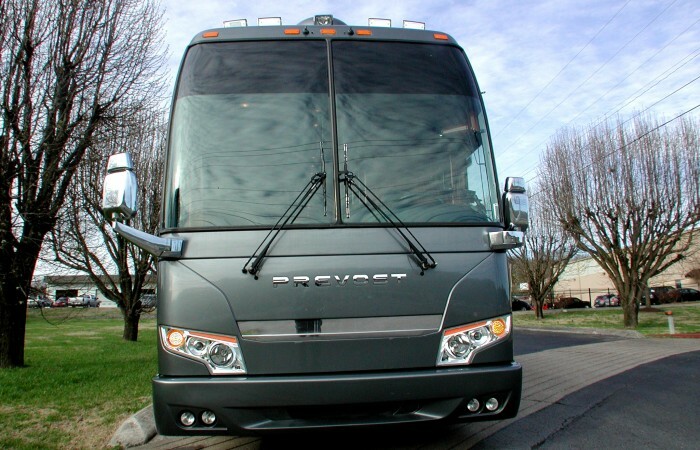 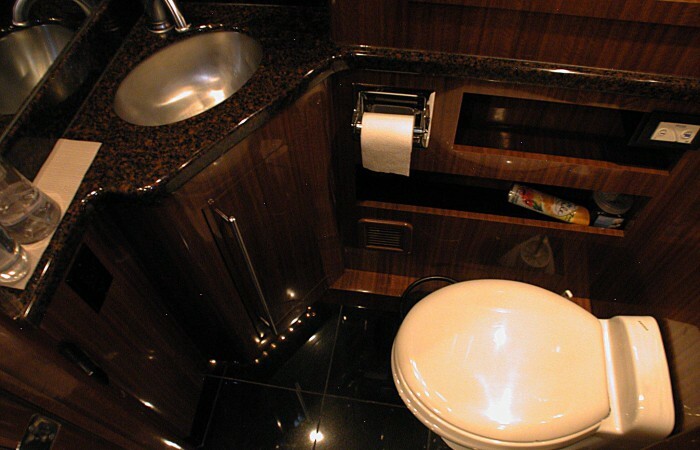 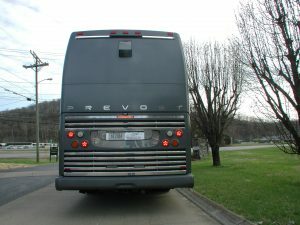 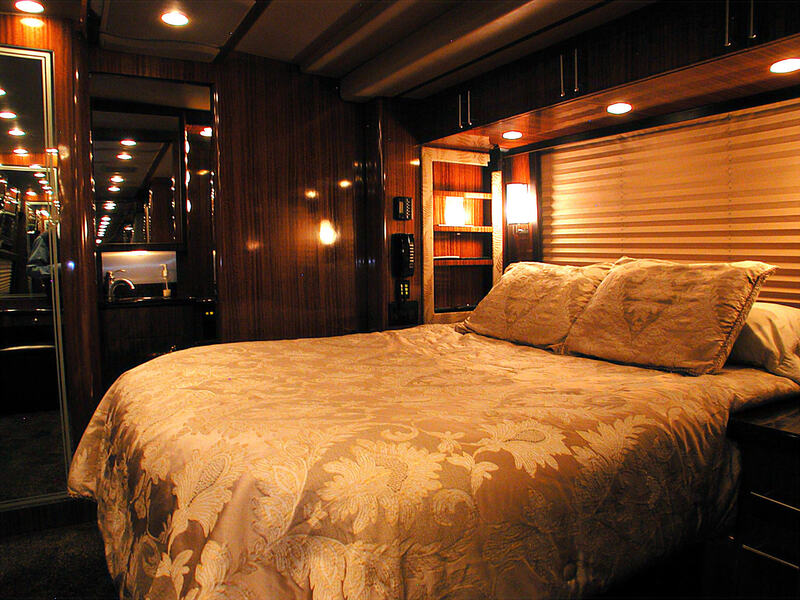 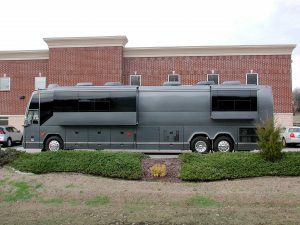 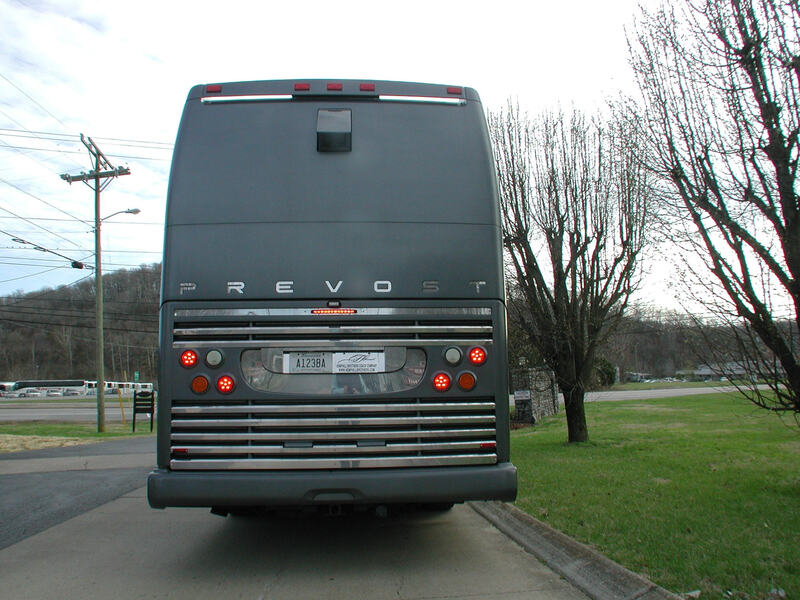 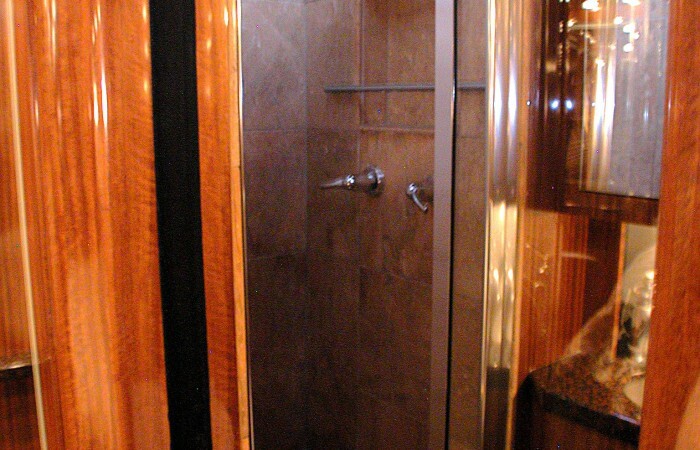 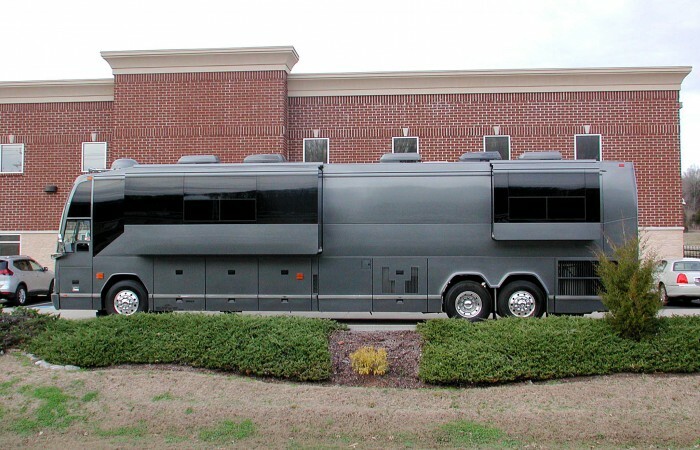 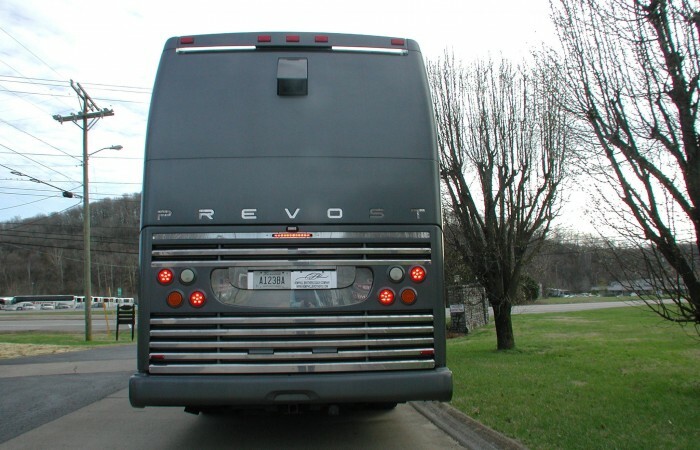 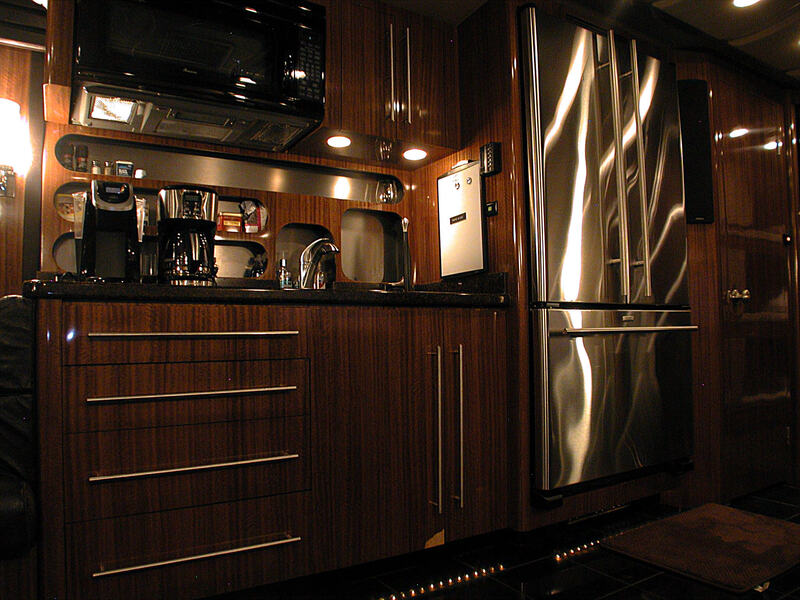 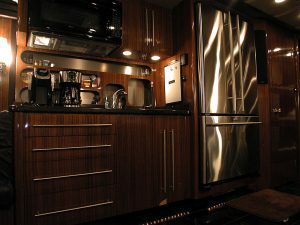 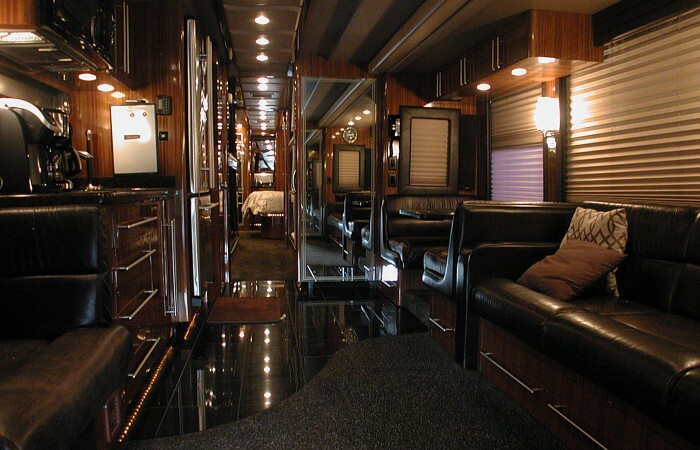 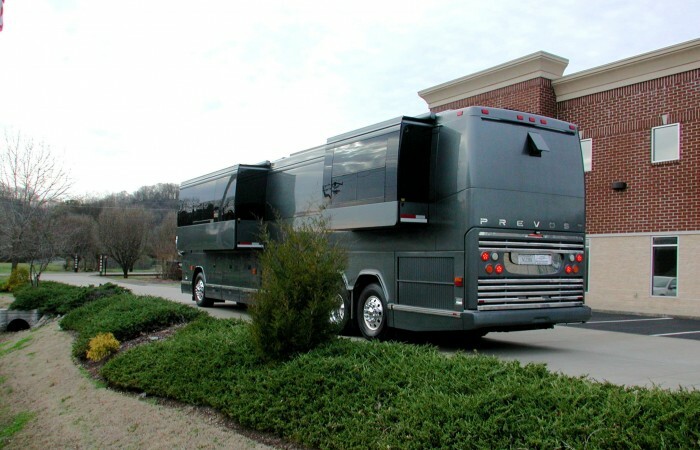 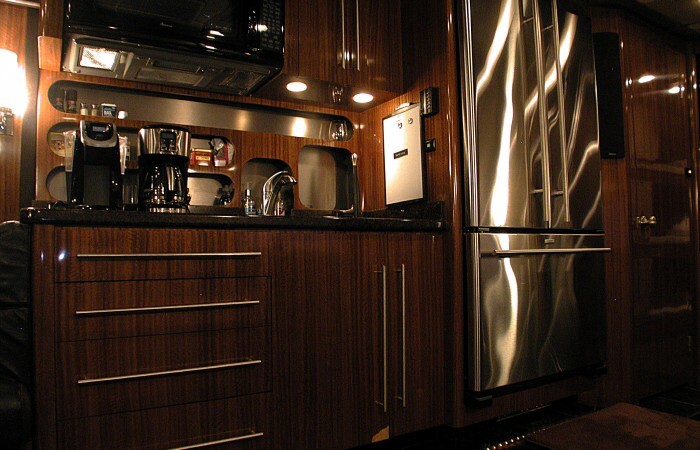 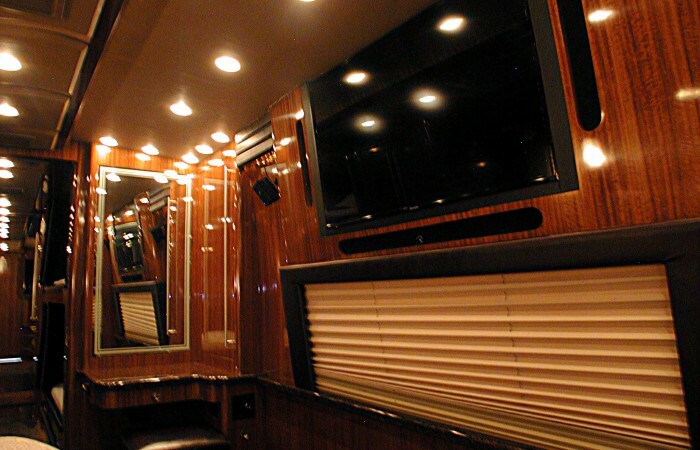 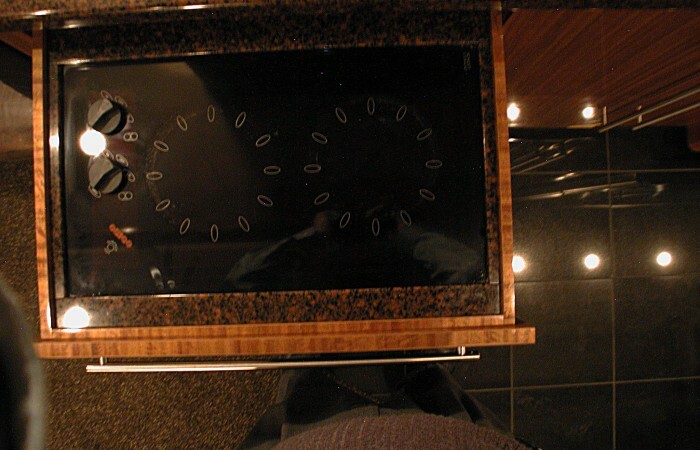 A 2005 Prevost H3-45 VIP double slide out entertainer coach with 6 bunks, 2 bathrooms, 6 bunks, and a shower. 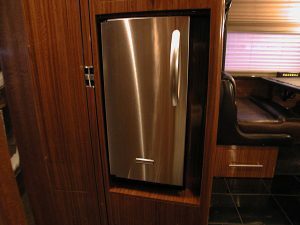 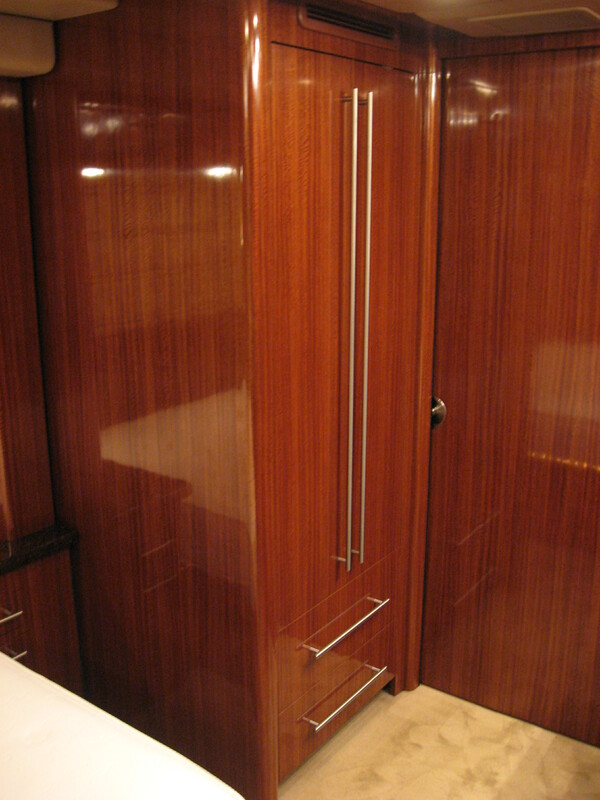 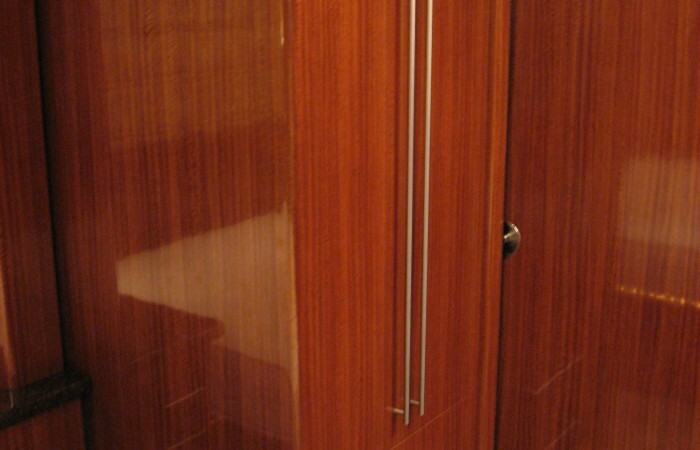 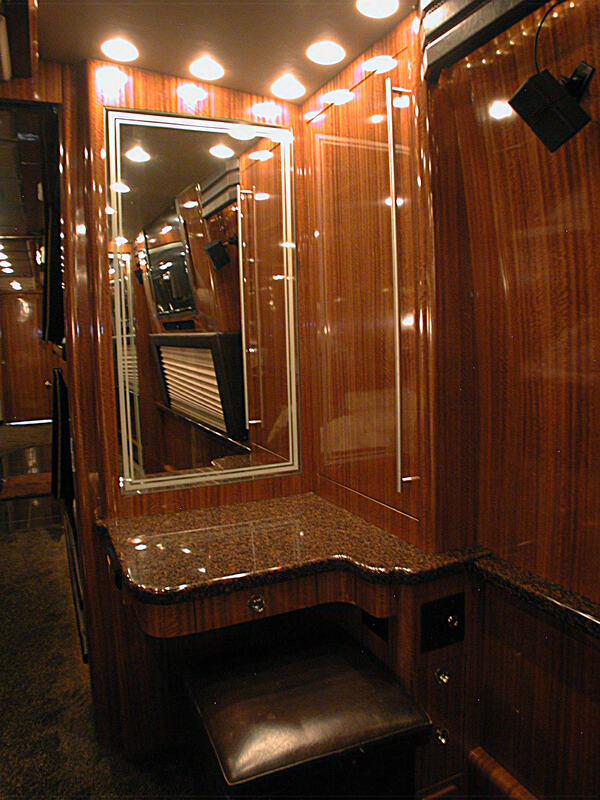 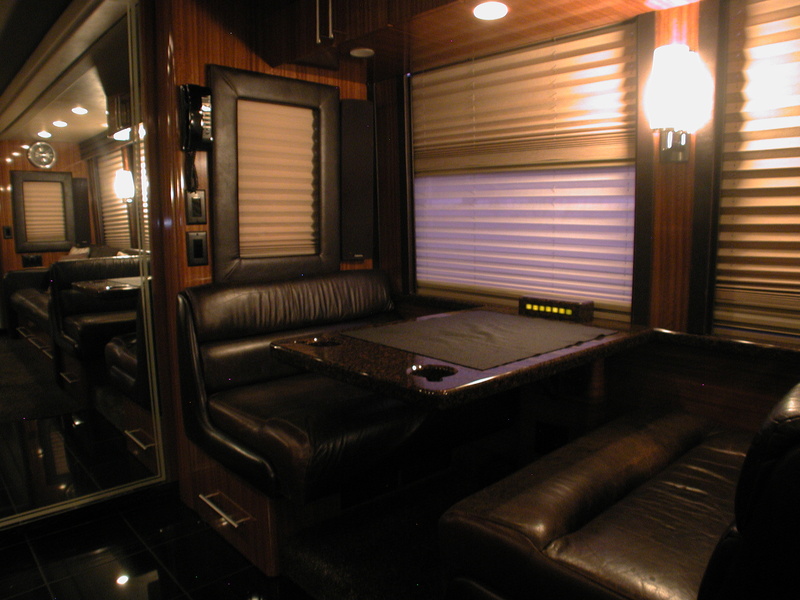 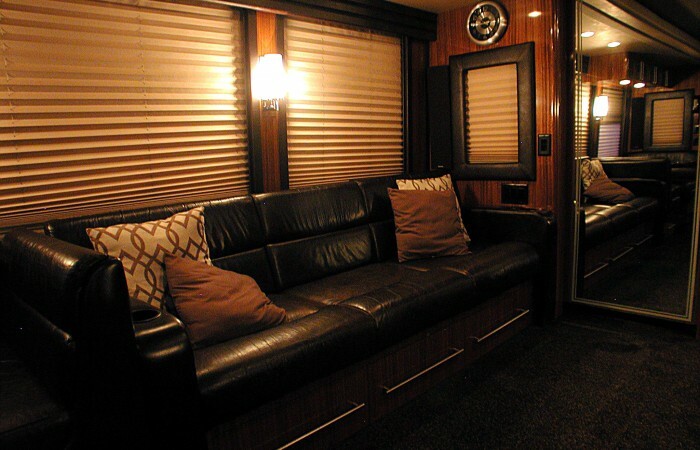 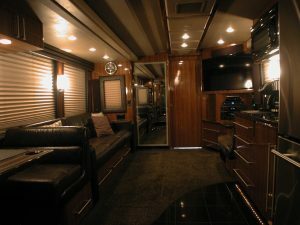 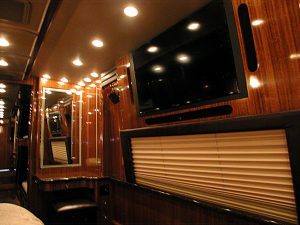 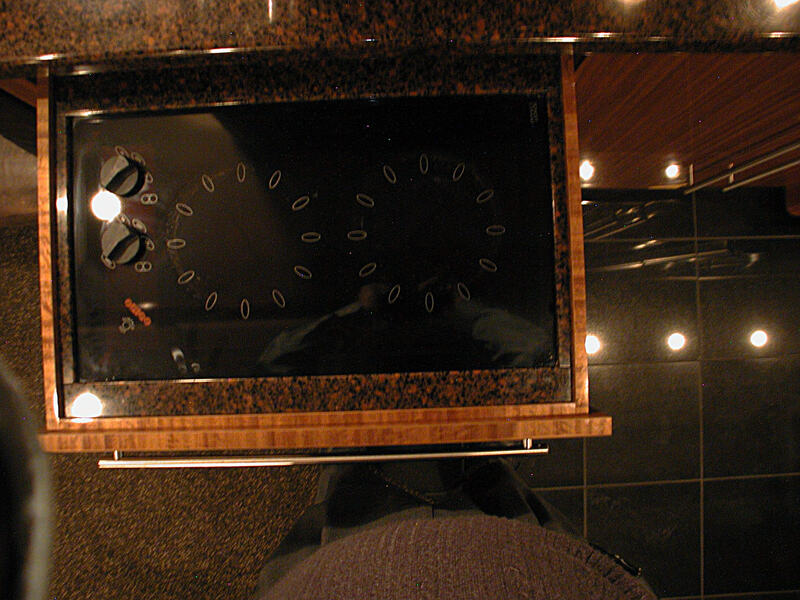 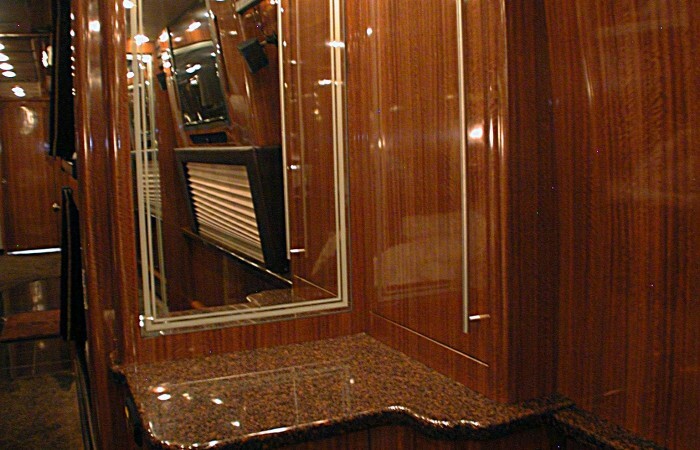 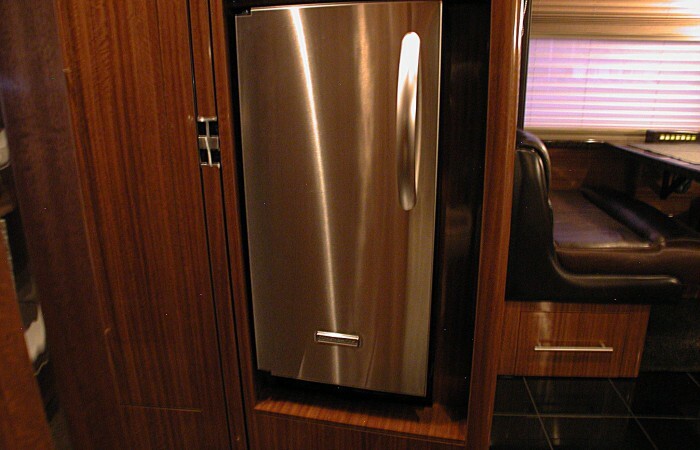 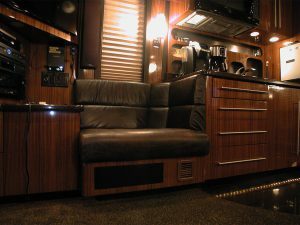 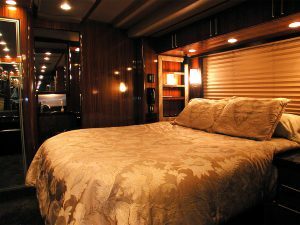 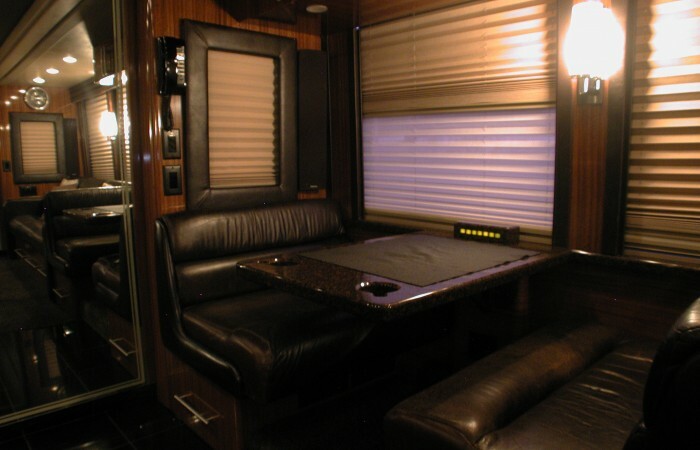 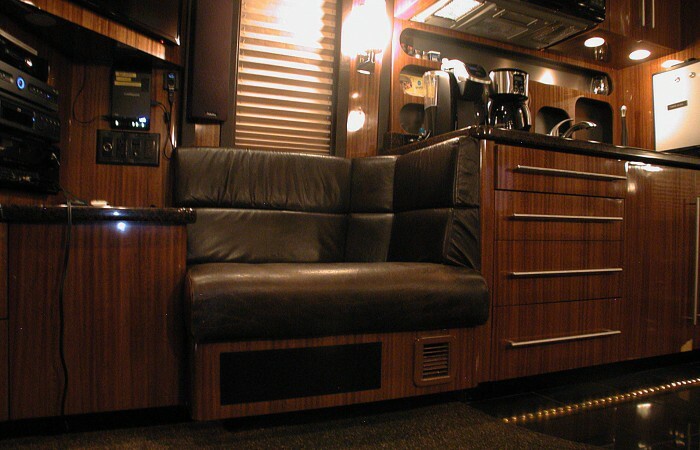 2005 prevost double slide front lounge booth with leather seating for 4.